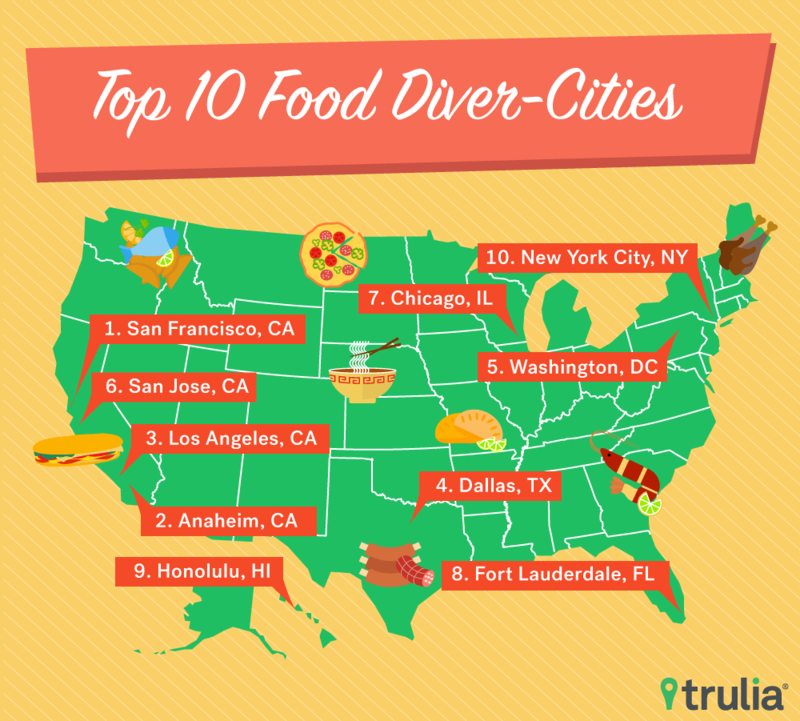 Trulia's latest report points out which cities offer the most diverse food options. San Francisco offers 92 different styles of cuisine in the metro and 9.24 restaurants per square mile. Philadelphia has the best cheesesteak, but the second best is actually in Raleigh, North Carolina. The most vegetarian restaurants can be found in San Jose. Some days you want a gyro from the Greek spot on the corner, other days you want chicken tikka masala from the Indian joint on 22nd. Maybe the next day, you want hibachi with a pitcher of sake from the Japanese steakhouse on the other side of the city. That’s the gift of choice — and it’s something homebuyers want when they’re looking for a new area to live. Trulia’s latest report points out which cities offer the most diversity when it comes to food options. Some of the results are surprising, others not so much. Where will find 92 different cuisine options? 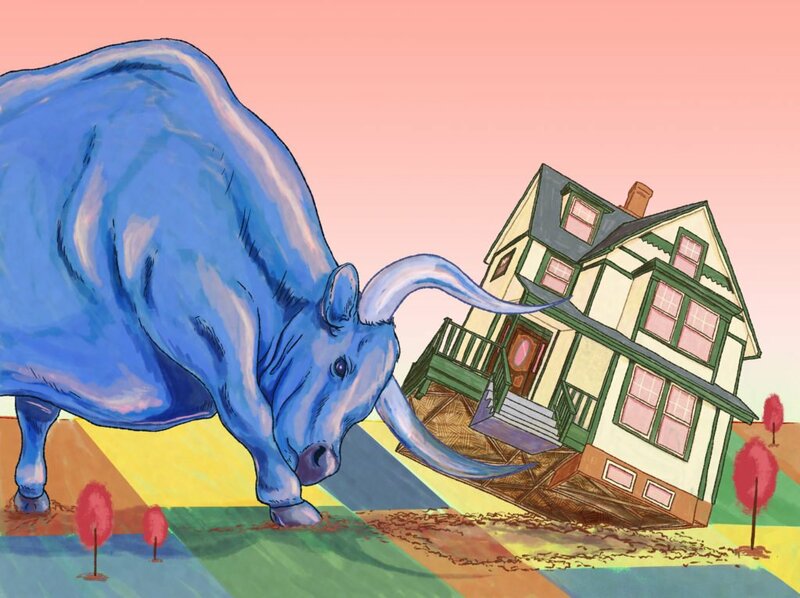 Trulia answers. Like, obviously Philadelphia has the best Philly cheesesteak in the country. But did you know that Raleigh is the no. 2 rival for that sandwich? Washington D.C. sits at no. 5, although the nation’s capital only offers 1.55 restaurants per square mile. Given the amount of international travelers to D.C., it’s a safe bet the city scored well on the types of restaurants portion of the index. It scored a 76.4 on the final index. Chicago and New York City are only one point away from each at 72.4 and 71.4, respectively. The big difference, though, is that Chicago has 3.67 restaurants per square mile, while NYC has 8.04 in the same proximity. New York has 98 cuisines offered in the metro, and Chicago has 92. Miami and Houston squeaked into the top 20 with overall scores of 64 and 61.9. Miami has 2.41 restaurants per square mile to Houston’s 1.24. Both metros spend less than $1 going out verses dollars spent at the grocery store. San Francisco wins the award for the most diverse food city in the country. San Francisco offers 92 different types of cuisines per metro area and has approximately 9.24 restaurants per square mile. Diners also spent $1.54 on eating out verses grocery store purchases in San Francisco. The second highest out of the top 20 metros was Honolulu, where diners spent $1.50 on eating per dollars spent at the grocery store. San Francisco scored a 92.6 on Trulia’s final index, which measured dining out tendencies, restaurants per square mile and restaurant types. San Jose can brag that is offers the most vegetarian options per household, but Honolulu offers the most vegan options. Los Angeles came in at the no. 3 spot for most diverse dining destinations. L.A. scored 81.6 on the final index, and it has 5.12 restaurants per square mile. There are 93 types of cuisine offered in the L.A. metro area.